Safia Mumtaz Ansari Branch Manager, Tameer Micro Finance Bank, Liaquatabad Branch, Karachi. 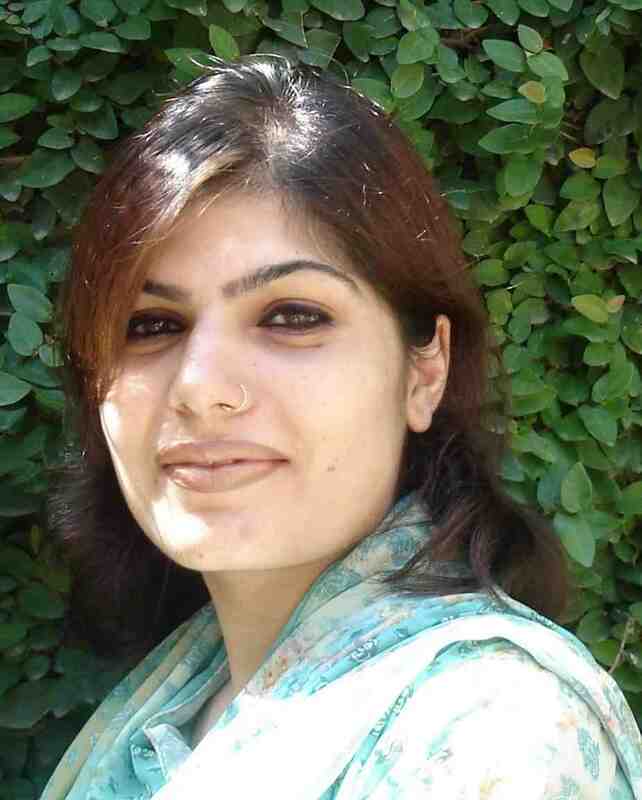 Safia graduated in 2005, from Premier College Karachi with a Bachelors in Commerce. Prior to joining Tameer, she was an Assistant Accountant at a welfare medical complex. With few options for growth she felt that she might never be able to achieve her father's dream, which was for her to become a banker. On her daily commute from work, she noticed the Qazzafi Chowk Branch being established and take a chance and applied. "The Quaid trusted the youth, and after him Tameer is the first institution that trusted the youth. It is Tameer who encourages us to go ahead and succeed." After a year in the job, Safia feels that she has learnt from the responsibility, trust and opportunities given to her at Tameer. The culture of working together has enabled her to learn more than ever and earn recognition. Nazir Ahmed Leghari is a well-known journalist and political analyst who covers national and international political issues. 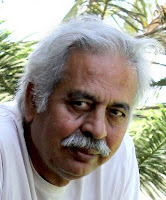 He is the founder editor of Daily Awam, Karachi, (The largest circulated Urdu eveninger of Pakistan). He has been involved in field of journalism since two decades and worked as an senior sub editor and assistant editor in Daily Jang and Daily Nawa-e-waqt respectively and has contributed numerous articles and features issues related to Pakistani and international politics. He has interviewed many national and international figures including Benaizr Bhutto, King Fahd Bin Abdul Aziz, V.P Singh, Ahmed Shah Masood, Begum Shaikh Hasina Wajid, and Mother Tressa etc. He was the newsreader of Radio Pakistan and participated in various political discussions in Radio Pakistan and Pakistan Television. He is a multi lingual person and the author of books titled, Siasat-e-Dorran (Contempory Politics), Seene Jhhokan Deedain Dery (Villages in the hearts and cities in the eyes). He has served as a vice president of Karachi Press Club. 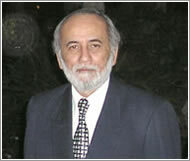 Mirza Shahnawaz Agha was born in August of 1950, into a family of imigrant traders, and was brought up in the former East Pakistan; He went to the first cadet college in the country then and post graduation in commerce studied Islamic Jurisprudence as an apprentice to Dr. Muhammad Said Al-Awadi from Jaddah, Saudi Arabia,; He has had a career in trade and industry from the age of 18 and heads a few enterprises today; To his credit are four books; “A rendezvous with Destiny”, “First Feelers”, “Decisive Edge” and “What is this thing called Religion for God sake” and many articles as a research scholar. He has been a active contributor to a reputed newspaper on political economy and social issues. A research scholar, he is very well traveled and exposed. Mufti Irshad Ahmad Aijaz was born in June, 1972 in Karachi. From 1983 till 2009 he acquired his Islamic education and completed different certificate courses in English Language and Mathematics. In 2009 he completed Masters in Business Administration from Iqra University. He worked as research fellow in Islamic Guidance Trust – an Islamic research institute; Worked with Jamiah Binnoriah as Research Associate in Research and Writing Department. He is Member of the Shari’ah Supervisory Board and Shari’ah Adviser (Resident Member) – BankIslami Pakistan limited; also responsible at BankIslami for Shari’ah compliance and certification of all processes. Currently he is the visiting faculty member of different educational campuses. He is also the Head/Member of the different committees and/or task forces made by SBP for Shari’ah Issues of Islamic Banking in Pakistan. He appears as expert in Islamic Finance on electronic media in Pakistan; regularly delivers lectures on Islamic Banking and Finance at different forums; regularly write in print media on Islamic banking and finance. Muhammad Zubair Ahmad did his B.E. (Electrical Engineering) from NED University of Engineering & Technology Karachi. He served Siemens Pakistan Engineering Co., Ltd. as Senior Executive Engineer for 6 years in the department of Field Services. In the organization; he was selected to participate in an Automation Training Course offered from Siemens France. After the successful completion of the course; he worked on various national and international power and automation projects. During his job in Siemens; Mr. Zubair completed his M.S. (Electrical Engineering) from NED University. After completing Masters Degree he joined the field of Education. Currently he is associated with Iqra University as Associate Professor in the department of Electronic Engineering. Very recently he did MBA (Marketing) from University of Karachi. Now he is enrolled in PhD program of Iqra University. He participated in various technical and non technical seminars and conferences as Speaker, Facilitator and Session Chair. He also works on different TV Channels as Host and Producer of various Religious and/or Social Programs and writes a regular column in Daily Pakistan. Dr. Huma Baqai Chairperson, Department of Social Sciences at IBA Karachi, is a Ph. D in International Relations. Among other subject she teaches International Relations and sociology at the IBA and International Political Economy, Contemporary International Politics, Political Geography and Foreign Policy Analysis at Dept of IR at Karachi University. She has ten publications to her credit. A Member Academic Board and Academic Committee, IBA and Patron of Media and Publication Society, IBA, she is a Certified trainer in Communication and Presentation Skills and in Liberal Political Values from Germany. 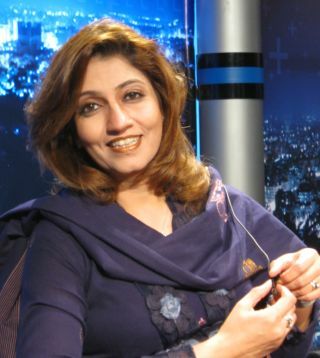 She has anchored a weekly current affairs show “Between the Lines” at Pakistan State Tele Vision from 2007 to 2010, is a member of the Board of Directors Women Media Center, Karachi and Editorial Board Journal of Freedom, and is a celebrated International Relations Experts and Political Analyst with National and International Media. She quotes her areas of interest as Non-Traditional Sources of Conflict, International Political Economy, Liberalism, Secularism, Terrorism and Media. 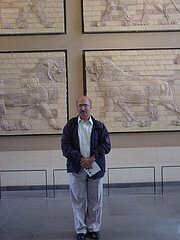 Manzoor Hussain Wasan was born on July 7, 1957, in Village Haji Nawab Wasan, Khairpur, Sindh. 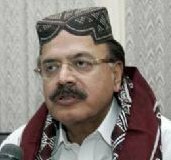 He is politically affiliated with the PPPP and was elected MPA Sindh on four occasions, from 1988 to 1990, 1990 to 1993, 1993 to 1996 and 1997 to 1999. Manzoor Hussain Wasan graduated with an LL.B from the University of Sindh in 1975. He has travelled to the U.S.A, U.K, Europe, Canada, Middle East, Australia and Argentina. He is married with a son and three daughters. His hobbies include swimming and badminton. Sarfaraz A. Rehman is the Chief Executive Officer of Engro Foods Limited since 2005 and a Senior Vice President of Engro Corporation Limited. He also serves as a Director on the Board of Engro Foundation. Mr. Rehman has worked for large scale multinationals and conglomerates, in FMCG and healthcare industries over a period of more than two decades – in distribution, franchising and manufacturing/marketing sectors. Mr. Rehman started his career with Westbury Schotness & Co. and later moved to Unilever in 1983, where he spent time in Finance, Marketing Services and Projects. Subsequently he joined Smithkline Beecham (now Glaxo Smith Kline) and was involved in Merger and Strategic Planning. Thereafter, he spent several years with Jardine Matheson in the Middle East, mainly in business development and logistics. He then moved to Pepsi International and spent several years managing the Pakistan and Afghanistan Unit. Mr. Rehman is a Chartered Accountant by profession. He and his wife have two sons. Mr Khalid Mansoor is the Chief Executive Officer of Engro Energy Limited, Engro Powergen Limited and Sindh Engro Coal Mining Company Limited and a Senior Vice President of Engro Corporation Limited. Mr. Mansoor joined Engro in 1985 as a Process Engineer. He has held various key assignments at Engro and with Esso Chemical Canada including leading development and execution of various major expansion projects. Mr. Mansoor is currently serving as a Director on the Boards of Engro Corporation Limited, Engro Polymer & Chemicals Limited, Engro Powergen Limited, Sindh Engro Coal Mining Company Limited and as the Chairman on the Board of Engro Energy Limited. Mr. Mansoor has also served as a Director on the Boards of Engro Foods Limited and Engro Vopak Terminal Limited in the recent past. Mr. Mansoor has over 30 years of experience in project development, execution, management and operations of mega sized project in petrochemical and energy sectors. Mr. Mansoor holds a degree in Chemical Engineering with distinction and honors. He and his wife have four daughters. Bakhtiar Wain is the Chief Executive Officer of Avanceon Limited since he joined the company in 1989 and a General Manager of Engro Corporation Limited. The same year, he set up a very successful business of providing turnkey automation, instrumentation & engineering solutions to the local industry. After the acquisition of majority shares by Engro in 2003, he was unanimously re- appointed as Chief Executive Officer by the Board of Directors. Mr. Wain also serves on the Board of Innovative Private Limited. Mr. Wain has previously worked for leading companies such as Exxon Chemical, Fauji Fertilizer and ICI. Within 3 years of his appointment as Chief Executive Officer, he spearheaded the company towards market leadership in Pakistan. The company subsequently grew internationally by setting up a very successful operation in UAE and acquiring a leading automation company in Pennsylvania, USA. Mr. Wain holds a mechanical engineering degree from the University of Engineering and Technology, Pakistan. He has three daughters. Mr Khalid Subhani is the Chief Executive Officer for Engro Fertilizers Limited and Senior Vice President for Engro Corporation Limited. 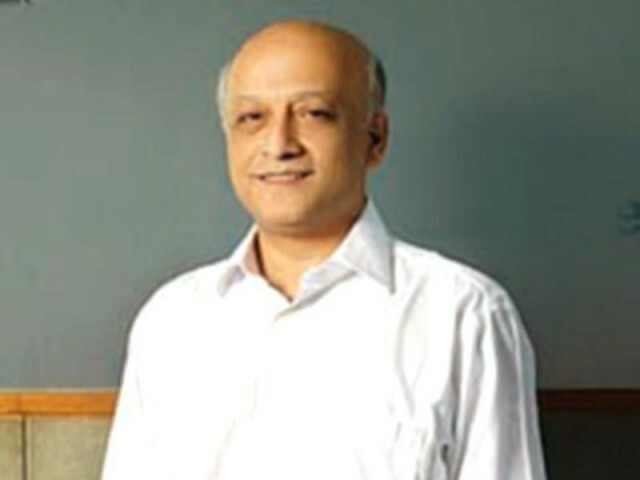 Mr. Subhani is a Director on the Boards of Engro Corporation Limited, Engro Fertilizers Limited, Engro Vopak Terminal Limited, Engro EXIMP Private Limited and Engro Polymer & Chemicals Limited. He has also served as Chairman of the Board of Avanceon in the past. Mr. Subhani began his career in the Manufacturing Division at Exxon Chemical Pakistan Limited in 1983 and has held a variety of leadership roles within the Company, including long term assignment with Esso Chemical Canada. He has served as Manager for New Projects, General Manager for Operations, Vice President for Manufacturing, and Senior Vice President for Manufacturing and New Ventures. Mr. Subhani is a member of the Pakistan Engineering Council, Faculty Selection Board, Institute of Business Management, Sukkur, and Standing Committee on Environment of Federation of Pakistan Chambers of Commerce & Industries. He has also been a member of Federal Government’s Committee on Dawood Engineering College rejuvenation and American Institute of Chemical Engineers. Mr. Subhani graduated from Dawood College of Engineering and Technology, Pakistan with a degree in Chemical Engineering and has completed programs on advance management from MIT and Hass School of Business Management, University of Berkely, USA. He and his wife have two daughters and a son. Mr. Asif Qadir holds a degree in Chemical Engineering from Columbia University, New York and has over 30 years of management and marketing experience in the chemical and fertilizer sector. Mr. Qadir's career began at Exxon Chemical Pakistan Limited in August 1978. At Exxon, he worked in various capacities including as Worldwide Business Advisor for Exxon Chemicals as well as for Esso Chemical Alberta Limited of Canada. Mr. Qadir went on to join Engro Chemical Pakistan Limited (now Engro Coporation Limited) where he has become one of the key management figures. Currently, Mr. Qadir is the CEO of Engro Polymer & Chemicals Limited and is also serving as Senior Vice President of Engro Corporation in addition to serving on the Boards of various subsidiaries and affiliates. Mr. Asif Qadir is also on the Board of Pakistan Poverty Alleviation Fund and in the past, has served as the President of Management Association of Pakistan from 2007 to 2009; and on the Executive Committee of Overseas Investors' Chamber of Commerce & Industry from 2006 to 2009. The Board of KSE has appointed Mr. Asif Qadir as the Chairman of the Committee for hearing appeals of members and the Committee for handling cases of suspension or expulsion of members and imposition of fines. He is also the member of Audit Committee and Human Resources Committee of KSE Board. Mr. Zafar Moti, the Chief Executive of Zafar Moti Capital Securities (Private) Limited, holds an MBA degree from Institute of Business Administration (IBA) and was the treasurer for BASE, a student body of IBA. He also has over 20 years of capital market experience. Although Mr. Moti acquired the membership of Karachi Stock Exchange (Guarantee) Limited (KSE) and the Lahore Stock Exchange (Guarantee) Limited (LSE) in 1989, he had already been actively engaged in the family stock brokerage business sine 1981. His active involvement in capital market development is evident from his various appointments. He has held the office of Director-KSE for the years 1992, 1994, 2002 and 2009 and LSE for the year 1993. Mr. Moti was also the director for Central Depository Cell during 1993 and the Chairman of New Products Committee at KSE in 1995. He is also a founder member of the National Commodity Exchange of Pakistan. At present, Mr. Zafar Moti is holding the Chairmanship of Demutualization Committee and membership of Taxation Committee of KSE. In addition, he has also been nominated to represent KSE on the Board of Central Depository Company of Pakistan. Mr. Abdul Qadir Memon is a fellow of the Institute of Taxation Management of Pakistan and a commerce graduate from the University of Karachi. He is a renowned tax and corporate laws expert and a senior resource. Mr. Memon runs a law, tax and corporate consulting firm by the name of A. Qadir & Company for more than 30 years. He possesses an in-depth knowledge of tax and corporate laws and provides a wide range of services to his clients including rendering opinions and offering advices on various aspects and implications of the tax & corporate laws and related matters. Currently Mr. Memon holds the position of President, Pakistan Tax Bar Association where previously, he has served as Senior Vice President. He has also held the offices of Vice President, Secretary General and President of Income Tax Bar Association, Karachi during various terms. 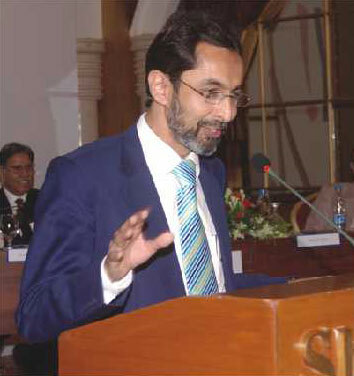 He has served as President of Junior Chamber International Pakistan and Memon Professional Forum. With his expertise, Mr. Memon makes his contribution at different governmental and non-governmental forums. 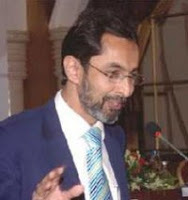 He is a member of the Advisory/Taxation Committees of the Revenue Advisory Council of Ministry of Finance, Federal Tax Ombudsman, Federation of Chamber of Commerce and Industry, Karachi Chamber of Commerce and Industry besides being a member of the Federal Board of Revenue's Alternative Dispute Resolution Committee & Task Force on Simplification of Tax Laws and Procedures. Mr. Memon is the life member of Memon Professional Forum, Junior Chamber International, Pakistan, The Arts Council of Pakistan and Pakistan Billiards & Snooker. At KSE, Mr. Abdul Qadir Memon is the Chairman of Audit Committee as well as the newly formed Taxation Committee. Mr. Memon has also been nominated by KSE Board as director on the Board of National Clearing Company of Pakistan Limited. 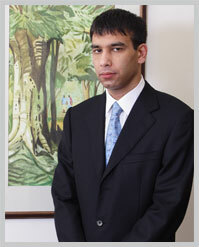 Mr Qasim Lakhani has over 10 years of experience in equity broking, fund management and corporate planning. Qasim started off his career with equity research in First Capital ABN-AMRO Equities, from where he moved on to join JP Morgan Pakistan (then Jardine Fleming Pakistan Broking) on the international sales desk, servicing foreign institutional investors. Subsequently, he worked for top-tier names like Engro Chemical (corporate planning) and PICIC (equity portfolio management), before moving onto Elixir Securities Pakistan (Elixir). During his stay at Elixir, Qasim headed Elixir's Research Department and was involved in the preparation of business plan / study of asset management business for a large business Group of Pakistan. In March 2007, Qasim co-led the acquisition of Fortune Securities by a consortium of investors, and continues to head Fortune. Qasim is an MBA from the Institute of Business Administration (IBA) Karachi, and is a CFA charter-holder. At KSE, Qasim Lakhani is the Chairman of Advisory & Arbitration Committee and member of Audit Committee and Human Resources Committee and also represents KSE on the Board of JCR-VIS Credit Rating Company Limited. Mr. Shazad G. Dada is a seasoned banker and a prominent capital market professional. His portfolio includes over 20 years of major national and international financial market experience. Being the CEO of Pakistan operations of Barclays Bank plc, he is presently overseeing all Barclays' businesses in Pakistan. Mr. Dada is a graduate with honours from University of Pennsylvania with Bachelor of Science and Bachelor of Arts degrees and also has an MBA from The Wharton School, University of Pennsylvania. Mr. Dada's banking career started with Bankers Trust, USA in 1990 which was later acquired by Deutsche Bank AG in 1999 where he worked extensively on corporate finance and mergers and acquisitions during his appointment as the Managing Director of Mergers, Acquisitions and Corporate Advisory group at Deutsche Bank Securities Inc in New York and as Head of Media M&A practice in the Americas. In 2005, he was assigned in Pakistan as Deutsche Bank's Chief Country Officer and Head of Global Banking. He has been contributing towards the development of the Pakistani financial market and continues to do so as the Vice-Chairman of the Pakistan Banks' Association and Council Member and Chairperson - Finance Committee of The Institute of Bankers Pakistan. The Board of Directors of KSE has appointed Mr. Dada as member of its Audit Committee and Human Resources Committee. Mr. Shazad Dada actively contributes towards the community and plays his part as Chairperson of Developments in Literacy, as Director of Naya Jeevan and AIESEC. Besides, he is also associated with various reputed charitable organizations and causes. 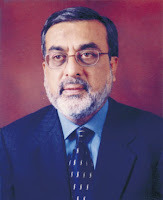 Mr. Nadeem Naqvi Managing Director Karachi Stock Exchange holds the degrees of M.B.A. in Finance and B.Sc. with honours in Banking and International Finance from The City University CASS Business School in London, United Kingdom. He brings with him a rich work experience of over 28 years in financial services industry operating in diverse environments of Middle East, North America and Europe besides that of Pakistan. Mr. Naqvi carries a proven track record of establishing successful business organizations and turning around mediocre or dormant ventures into vibrant units. His last assignment, before joining Karachi Stock Exchange, was as the Chief Executive Officer of AKD Investment Management Limited. Earlier, he was involved in setting-up a brokerage house for overseas investors. He has also served as Chief Executive Officer of AKD Securities Limited which he was able to transform from a proprietary business into a full-scale investment banking and brokerage firm and in the process, gained company's recognition as the best domestic brokerage house for two consecutive years. Under the banner of AKD, he served as Chairman of the first technology venture capital fund of Pakistan. Market analysis and research has been the hallmark of Mr. Naqvi's career. He has led an independent investment research firm in USA which was ranked in 2004 by 'Businessweek' as the third best out of 300 independent research firms in North America before which he headed the Merrill Lynch Pakistan research team. He was also the Head of Research of the advisory company of Morgan Stanley Asset Management's Pakistan Investment Fund and prior to that worked at BMA Capital Management Limited as Head of Research. In Pakistan, Mr. Naqvi has been involved in landmark investment transactions, including the privatization of Kot Addu Power Plant, National Refinery and United Bank. His association with the capital markets is also longstanding where he served in committees of Karachi Stock Exchange and was a member of the Capital Markets Committee. Ghulam Sughra created the Marvi Rural Development Organization (MRDO), an NGO focused on creating community savings funds and raising awareness of education, health, human rights, and social development issues. While originally focused in her home village, Ms. Sughra has expanded to the rural areas of Sindh, Punjab, and Baluchistan provinces. 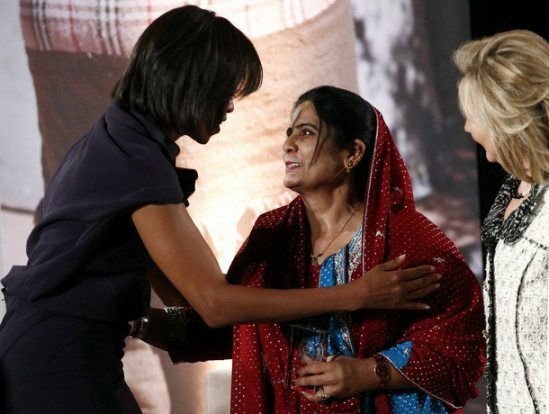 Born in rural Sindh Province, Ms. Sughra was forced to marry at the age of 12. Six years later, Ms. Sughra became the first woman in her village to divorce, and consequently, became a social outcast. Severely beaten by her brothers when she tried to attend school, she pursued her studies at home. She later succeeded in becoming her village’s first female high school graduate and the first teacher at the first school for girls. She is 40 and can speak english, Urdu and Sindhi languages. I am from a very poor family. did my hons from karachi unversity. two novels,lot poems, short stories, tranlations of poetry n fiction and four dalies on my creadet. started working with sadaqat karachi then worked with nawa e waqat, jang, akbar e jahan, qumi akbar, public, imroze, and kainat karchi, now i am with BBC world sevice. Ms. Riffat Shaheen Qazi official Spokesperson FBR, a BS-21 officer and currently posted as Member Facilitation and Taxpayer Education (FATE) in the FBR Headquarters, has been designated as Official Spokesperson FBR. Ms. Qazi, a senior officer of the 7th Common, has been serving as Member FATE since January 22, 2010. Previously, she served in various key positions across the country in her illustrious career spanning over 32 years. Before being appointed as Member FBR, she was heading the Regional Tax Office Rawalpindi where she led a series of tax recovery drives as the Chief Commissioner Inland Revenue Service. Ms. Qazi brings with her a rich professional and academic experience. She holds a Master’s degree and an MPhil in Economics from the University of Peshawar. Later she completed Masters in Business Administration from John F. Kennedy University USA. Her last academic pursuit was at the prestigious Harvard University, where she attended an extensive Senior Executive Management training course. Ms Qazi recently in May/June 2011 enriched her experience by attending a certificate course from the Royal Institute of Public Administration International London UK on Developing a Modern Human Resource function. Umer Mansha completed his education from Babson College, Boston, USA. 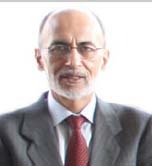 He is one of the Directors & Chief Executive of Nishat Mills Limited, director of Adamjee Insurance Company. & a member of Pakistan Business Council. Umer Mansha had been the director on the boards of MCB Bank Limited and MCB Asset Management Company Limited. Mr. Mohammad Usman Ali Usmani is the Acting President of MCB Bank Ltd and has over 44 years of banking experience. He started his career with American Express Bank Ltd, Karachi where he worked for nearly thirty years and headed the Country Treasury Department and was also Senior Director Financial Institutions, Middle East and Pakistan. He was also based in Dubai for a period of four years as Vice President Correspondent Banking, American Express Bank Ltd.
Mr. Usmani was head of Treasury / Global Markets / Financial Institution Deutsche Bank AG, Pakistan for a period of 5 years. In MCB Bank Ltd, Mr. Usmani worked for 7 years as Head of Treasury & FX, Head of Compliance, Capital Market, FID and International Operations. Mr. Usmani has travelled extensively all over the world and attended various courses worldwide. 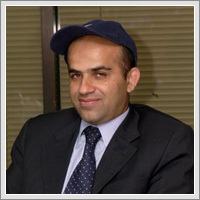 Hassan Mansha is the Chief Executive & Managing Director of Pakistan Aviators & Aviation (Pvt.) Limited. He completed his education from USA & enjoys the director position on the boards of Nishat Mills Limited, Gulf Nishat Apparel Limited, Security General Insurance Limited & Nishat Power Limited. Mr Khalid Qadeer Qureshi. fellow member of the Institute of Chartered Accountants of Pakistan. He has more than 44 years experience of comprehensive in-depth financial management across corporate, finance, accounting, treasury and information systems development and implementation. Mr Qureshi Actively associated in mergers, IPOs, developing feasibilities reports, private placement of debt & equity as well as restructuring. Mr Ibrahim Shamsi, MBA from the Lahore University of Management Sciences. Director of Siddiqsons Denim Mills Ltd, Siddiqsons Tin Plate Ltd, Managing Director Joyland (Pvt) Ltd. and A.A. Joyland (Pvt) Ltd. Actively involved in social services as trustee of Jamat-e-Taleem ul Quran. Served on editorial board of College & University publications. Ali Munir has a BA degree from Government College Lahore and an LLB degree from the University of Punjab, Lahore. He has over thirty years experience as a Chartered Accountant. He is a member of the Institute of Chartered Accountants in England and Wales and the Institute of Chartered Accountants of Pakistan. He was also a member of Investment Management Regulatory Organization and The Securities Association (now known as the SFA) in England. He joined MCB Bank Ltd. in 1999 and has previously held senior positions at Citibank, Saudi American Bank and Habib Bank. In 2005 he was awarded the M.A. Mozaffar Memorial Gold Medal from the SBP and Institute of Bankers in relation to his services to banking reforms in Pakistan and agriculture finance. He is currently the Chairman of the SBP Committee for Agricultural Finance. Ahmed E. Hasham has been elected as director of Adamjee Insurance Company Limited in 2007. He is a graduate in International Relations (IR) and Economics from Tufts University, USA. He is an active contributor towards Social and Academic Services. 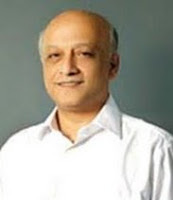 He is a member on the board of Usman Institute of Technology, Unicol Limited, PMC (Pvt) Ltd. and Mehran Sugar Mills. In addition, he is also a member of the Executive Committee of the Pakistan Sugar Mills Association. Ahmed Alman Aslam Masters in Business Administration from Punjab University. 1975 Program for Management Development at Harvard University, Cambridge MA.1990 Over 32 years of banking and investment banking experience of which 28 with Citibank in Pakistan, Europe, Africa, and USA at various positions including Emerging Markets Corporate Finance Product Head for Citibank, and part of management team integrating Salomon Smith Barney with Citibank in Central and Eastern Europe, Middle East, Africa and India. In 2003 advisor to Emerging Markets Partners Washington (a $6 billion emerging markets private equity house) Director on the Board of State Bank of Pakistan in 2005. At present Managing Partner of Ahmad Alman Aslam & Associates. Holds board memberships of Oil & Gas Development Company Ltd. Private Power and Infrastructure Board, and IGI Asset Management Company. Miss Aneela Akhtar Chaudhry daughter of Mr Muhammad Akhtar Ali obtained the degree of LL.B. in 2004 from Punjab University Law College, Lahore. She served as Member, District Assembly, Kasur during 2005 and has been elected as Member, Provincial Assembly of the Punjab in general elections 2008 against one of the seats reserved for women. 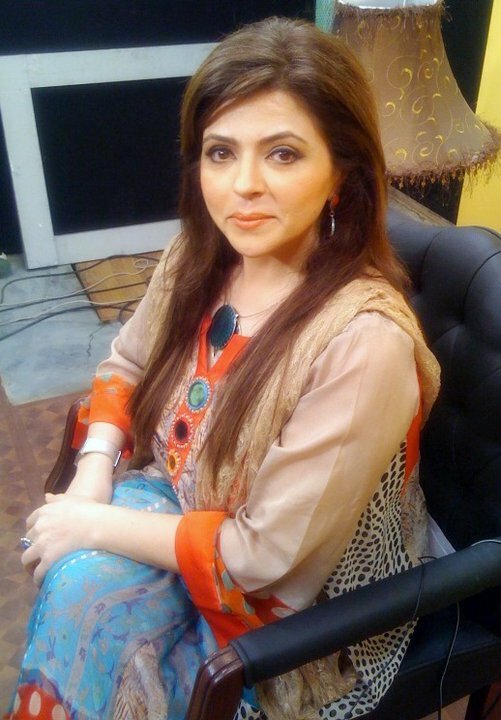 Ms. Shazia Tehmas Khan was born on January 01, 1974 at Peshawar. She has a master’s in journalism from University of Peshawar, Khyber Pakhtunkhwa. 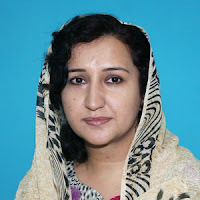 Representing Pakistan Peoples Party Parliamentarians in the Provincial Assembly of the Khyber Pakhtunkhwa, Ms Khan serves as the Chairperson of the Standing Committee on Population Welfare Department, a member of the Standing Committee on Excise and Taxation Department, and a member of the Standing Committee on Tribal Affairs Department. 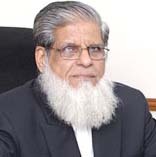 Mr. Jameel Yusuf was the Founder Chief of Citizens Police Liaison Committee (September 1989 – March 2003) commonly known as CPLC established by the Sindh Government as a statutory institution, operationally independent assisted Victims of Crime in the provision of justice and the Police in combating / detecting crime. For his role in detection leading to apprehending over 500 Kidnappers / Terrorists, he was invested with the prestigious national award of “Sitara-e-Shujaat”, by the President of Pakistan. His services have been recognized not only nationally, but internationally as well. He was also nominated for the First United Nations Vienna Civil Society Award in 1999. Mineral Development, the Standing Committee on Law, Parliamentary Affairs and Human Rights and the Standing Committee on Public Health Engineering, Finance Committee. She is married and has three children. 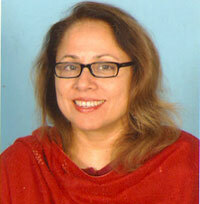 Dr. Fauzia is the Dean faculty of Social and media sciences SZABIST. She is a consultant clinical psychologist, TV Anchor and Host, and a corporate Trainer. Dr. Fauzia's position as the dean of an important faculty, clear brings out her talents and fosters very positively the role of women empowerment in the country. Ø M.A. Political Science and International Relations from Karachi University. Ø LL.B from Karachi University. Ø Holding a unique position of being the first woman Judge of a High Court of Pakistan. Ø Elevated to the position of Judge, At the Sindh High Court Bench in 1994. Ø As a Judge, presided over Single & DB numerous cases, providing justice in the form of landmark judgments. Ø As an advocate, deliberated on hundreds of cases on the civil side. Ø Provided free legal advice to the needy people, through various social work organizations and convincingly got justice for them. Ø Former Chairperson of the National Commission on the status of women, from March 2002 to March 2005. Ø A prolific writer – Author of hundreds of Article on Legal Issues pertaining to Women & Children. Ø Attended National and International conferences since 1964 to date. Ø Member of Common Wealth Team to monitor Elections in Tanzania in 2005. Ø Nominated for Nobel Peace Prize in 2005. Ø 100 Heroin Award (International) for Social Work. Ø Karachi Cosmopolitan Rotary Award for outstanding for services 1992-93. 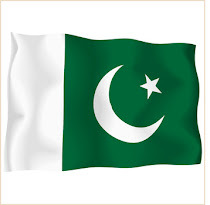 Ø PAK EXPO (NEW) outstanding performance in the field of jurisprudence 1990. Ø Lions Club Merits Award 1991. Ø Women Excellence Award 2006. Ø Human Rights Society of Pakistan Award 2007 (January 2007). Ø Women Achievers Award 2007 from I Plus (28-02-2007). Ø Teaching at Hamdard Law School – Karachi. Ø Practicing at Supreme Court of Pakistan. Ø Involved in Social Work. Ø Addresses on National & International Issues of Particularly Human & Women Rights through print & electronic media. · Chairperson, Section on Woman’s Mental Health, The World Psychiatric Association. § Life Member, of The Pakistan Psychiatric society, and held Positions as Vice President, Secretary General. Her research interests are Stress management, Medical Health Policy and Post- Graduate Education, Stress in Industry, Aviation Medicine Post Traumatic Stress Disorders, Bereavement and Psychological Aspects of Renal Dialysis, Women’s Issues (“Violence against Women”, “Depression in Women”, Stress in Working Women, and Sexual Harassment at Work Place). Disaster Psychiatry, (Handling vulnerable groups of women and children in 2005 Pakistan, Earthquake Victims). · Presented several Keynote Lectures at local and International Psychiatric Congresses. 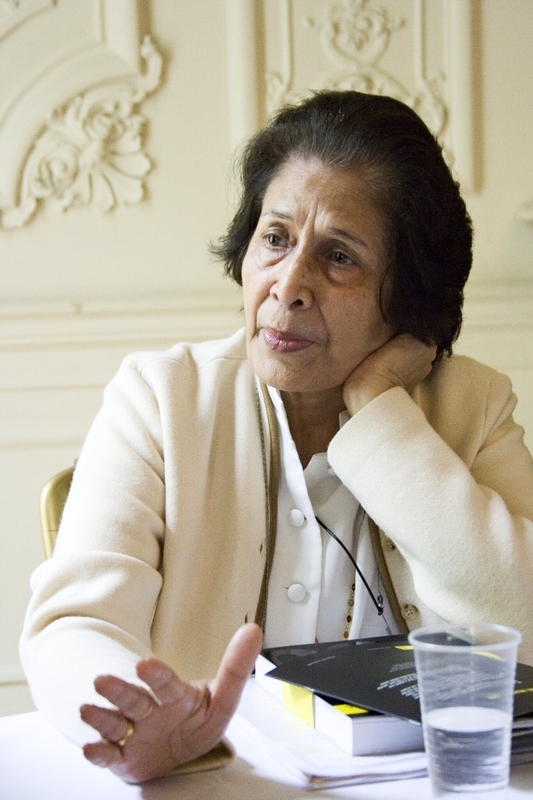 Trained at the centers of excellence, The Royal Free Hospital, The Tavistock Clinic Hampstead London and The Johns Hopkins University, U.S.A.
Uzma Noorani is a rights activist and has been working in the field of human rights and women rights for over two decades. · Served on the council of Human Rights Commission of Pakistan (HRCP) for over a decade. Through her work in HRCP she has conducted fact finding missions all over Pakistan and Azad Jammu Kashmir to assess the state of human rights. She has monitored and observed the election process and conducted visits to jails to highlight the plight of prisoners. She has taken part in workshops, seminars and protest rallies conducted by HRCP. · Founding member of Women’s Action Forum (WAF) a pioneer women’s rights organization of Pakistan. As an activist she has been lobbying and advocating for the rights of women since the early 80’s. She has supported non-violent solutions during ethnic strife in Karachi in the mid 90’s. · She is as an office bearer of Pakistan India Peoples Forum for Peace and Democracy (PIPFD), and a member of South Asians for Human Rights (SAHR). · Ms.Noorani was instrumental in the inception of Panah Shelter Home and is a Founder Trustee of Panah Trust. She is also a Managing Trustee and General Secretary. · Founding member of People’s Resistance, a civil society group campaigning for the restoration of the judiciary in 2007. Due to her rich experience Ms.Noorani has been invited to speak at various forums and participated in several workshops, both national and international. She has been interviewed by both electronic and print media. Ms.Noorani has helped initiate several campaigns and pressure groups to lobby on various issues of human rights, women’s’ rights, environment, peace, justice and law. As a peace activist she has participated in various forums advocating peace. Recently she was part of a delegation to Afghanistan to participate in a trialogue on peace (India, Pakistan and Afghanistan). Additionally she has advocated and lobbied against discriminatory laws like the Hudood Ordinances ,and Blasphemy Law and campaigned for special legislation such as a law on domestic violence. Nadira Panjwani is a social worker and philanthropist based in Karachi, Pakistan. She is the Founder and Managing Trustee of the Panjwani Charitable Foundation and Trusts. In 1994, she established the Zainab Panjwani Memorial Hospital in memory of her late mother. This 75-bed, not-for-profit organization is dedicated to serving the public and providing quality medical care at subsidized rates and also on free basis. In the year 2000 she established the Dr Panjwani School/College for the Blind, which was inaugurated by the President of Pakistan. This is a modern, purpose-built training complex providing education from nursery to Master’s level for visually-handicapped students. This school complex, affiliated with the University of Karachi, is the largest academic centre for visually handicapped people in Pakistan. 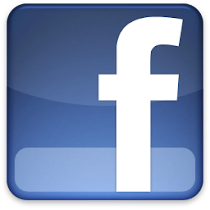 It is functioning under the management of the Ida Rieu Welfare Association, Karachi. In 2004, President Pervez Musharraf inaugurated the Dr. Panjwani Centre for Molecular Medicine and Drug Research at the University of Karachi. This is the first centre of its kind in Pakistan and second in South-East Asia. The Centre conducts research in the field of molecular medicine and drug development. It focuses on developing a comprehensive understanding of the molecular basis of prevalent diseases in Pakistan through its MPhil and PhD training programmes at national and international levels. This Centre has put Pakistan on the international map of drug research through its valuable contributions to leading scientific journals. 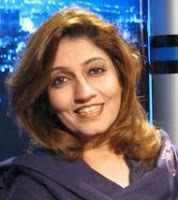 Nadira Panjwani teaches at the Bahria Institute of Management & Computer Sciences of the Bahria University (an educational organ of the Pakistan Navy) in Karachi. She is an honorary instructor at the University since 1996 and has arranged for a large number of scholarships for deserving students for pursuing studies at different levels. 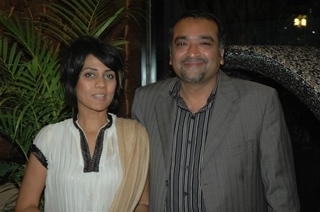 Nadira Panjwani is a Trustee of the PANAH Shelter Home for Women. This organization provides support and protection to women in distress who are victims of societal and domestic violence. She is a member of the Jinnah Society. The main objective of this society is to assist in the development of projects dedicated to the memory of Quaid-e-Azam for propagation of his ideals, principles and vision. Nadira Panjwani is a Founding Director of the Pakistan Human Development Fund, established in early 2002 to assist the National Commission for Human Development towards promoting health and educational facilities at the grass roots level in rural areas of Pakistan. She is a member of Board of Governors of the Higher Education Commission of Pakistan, Syndicate of the Dow University of Health Sciences, Board of Governors of the National University of Modern Languages, and Board of Governors of the Bahria University. 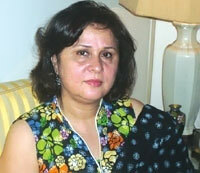 Nadira Panjwani also served as the Minister for Women Development and Population Planning in the 2007-2008 caretaker cabinet of Sindh. In recognition of her meritorious services in the field of Public Service, the President of the Islamic Republic of Pakistan conferred upon her the prestigious awards of Sitara-i-Imtiaz in the year 2000 and Hilal-i-Imtiaz in 2004. Madiha Iftikhar (born on 5 February 1985) is a Pakistani drama actress and model. Madiha Iftikhar was born to Iftikhar Ahmed and Rehana Iftikhar, in Islamabad, Pakistan. She is daughter of Rehana iftikhar. Madiha Iftikhar began her acting career, at the age of 17 years, in Partition Aik Safar, one of the most expensive dramas ever produced in Pakistan. She is currently the Brand Ambassador for Olivia Whitening Creme and has appeared in its advertisement campaigns in February 2011. Iftikhar is single and resides in Karachi. Her looks are impressive and she is 5 ft 7 inches, being one of the tallest actresses and models in Pakistan. Sabina Pasha is a new face in Pakistan showbiz industry. She was born and raised in Islamabad. 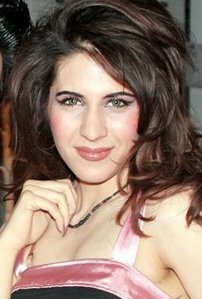 The family of Sabina Pasha is very cooperative that is why she didn’t face any difficulty to become a model. She said in her interview that the main reason behind her success was her family. Sabina Pasha makes her place in very short time span. Due to her gorgeous looks and stunning smile she make a huge fan following. Sabina pasha is tall and she had a fair complexion. These two are key points for setting the values of beauty in modeling. She is the face of popular brands of Pakistan like fair and lovely. She appeared in TV commercials of different brands like “Tarang”, “Every day”. Sabina Pasha also on the ramp for different fashion shows like, “Alkaram Lawn”, “Allenora”, “Giorgio Armani”, “HSY'”. She won various fashion awards for her great performance. Nazia Shams is a qualified anthropologist with research experience in health, education and rural development. Her research related experience/expertise encompasses literature review, research protocols development including pilot testing, qualitative data collection and processing, and report writing. In health she has been a key member of the team responsible for: a) designing, preparing and monitoring intervention for promoting ITNs in rural communities (GFATM R-3) and advocacy, communication and social mobilization for TB control (GFATM R-6), b) multi-method studies on treatment supporters, fixed dose combination drugs, enhanced program monitoring, external quality assurance of microscopy, and delivery of sexually transmitted diseases through PHC outlets. She has also been the key researcher in the ongoing qualitative research on TB related stigma, and a randomized controlled trial on tobacco cessation interventions. Her educational sector experience includes monitoring and evaluation of schools performance related to quality of training and education being offered at primary, secondary and higher level schools. In rural development, she has experience and expertise in issues related to gender and social sector dynamics.